Sacred Heart Catholic Primary School and Nursery is determined to achieve excellent attendance. As a parent or carer, you have an important part to play. Your children have a right to a good education and you have a legal responsibility to ensure that they go to school on time, all the time. 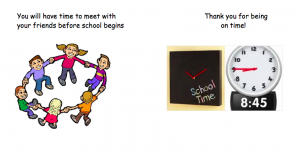 Children are rewarded in school for excellent attendance and they are very clear about why excellent attendance is important. At the end of each week the class with the best attendance will receive 100 ‘paw’ cent and are presented this in weekly assemblies.